Political instability in Burundi and the Democratic Republic of the Congo has caused a large number of refugees to seek protection in Tanzania. NRC opened an operational office in Kibondo, North Western Tanzania, in November 2016 and resumed responsibilities for Camp Management and WASH in Nyarugusu Refugee Camp from May 2017. The Position (HR/Administration Officer) is therefore required to support the establishment of these activities in the camp. All NRC employees are expected to work in accordance with the organization’s core values: dedication, innovation, inclusivity and accountability. • Salary/benefits: According to NRC’s general directions in Tanzania. 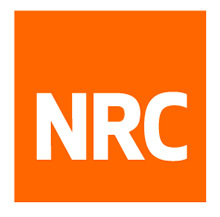 The candidate will observe NRC’s code of conduct and working hours for NRC Tanzania.